I didn't know exactly where to put this. I'll move it if need be. I wanted to share this with anyone interested. (Haven t been posting much. Gotta continue that KS T-shirt project.) 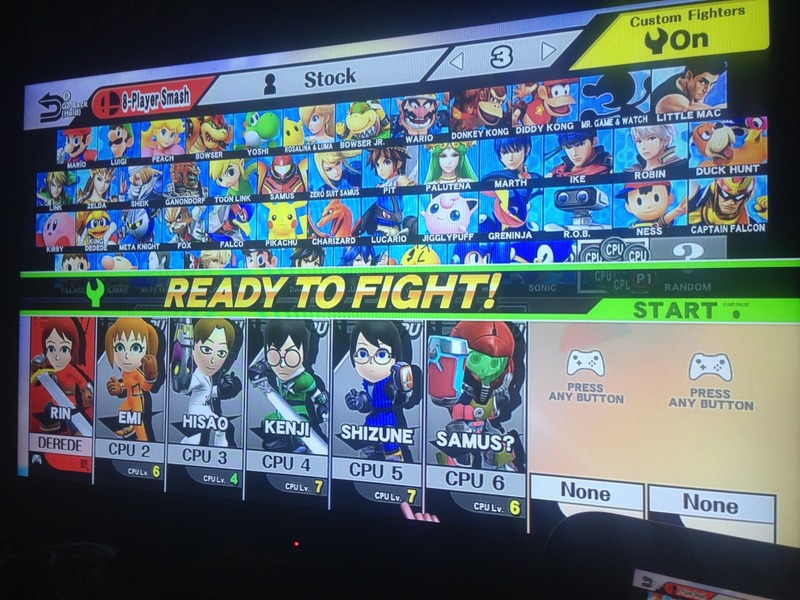 With the introduction of the Mii fighters in Smash Wii U/3DS, we now can have many of our favorite Yamaku students playable in one of the biggest crossovers in gaming. I also made a custom stage based on the stairs to Yamaku. The stage is called "Yamaku Festival" and the idea is that it takes place during the school festival at the end of part 1. I made sure to replicate the steps as perfectly as possible. Six steps, space, six steps. Good thing there are plenty of reference shots of Brown University. Since there's no background or foreground the illusion is somewhat lost. There are also some platforms at the base and top of the stairs. They're meant to represent the roofs of some of the booths that were around the school during the festival. The platforms also add a little flavor to the battles; makes the stage more interesting. Here's a vid I made that shows some of this off. It features Emi and Rin fighting Hisao and Kenji on the custom stage. I also changed some of the music to give it more of that KS feels. I even changed the victory music! Last edited by Derede on Sat Feb 28, 2015 9:13 pm, edited 1 time in total. Why the bloody hell haven't I thought of this before?? Emi would very obviously have high Speed, Hisao would have terrible Defense (getting hit isn't exactly recommended when you have a heart condition), Kenji, being the crazy-prepared type, would have high Defense, Shizune could get high Attack to reflect her aggresive nature, and so on so forth. And that's not even taking into account the various special abilities, like stat bonuses or increased/decreased healing when eating food. On that note, those Miis are very well made, congratulations! I love Hisao's dopey expression and Kenji's obstructive glasses. However, aren't there any hairstyles that fit Misha, even loosely? For me, I made Lilly and Hanako both swordfighters in defaulkt outfits. Hanako in pink and Lilly in orange. I used the same outfit you did for Emi, except mine is bright green. Kenji was a gunner in the green suit. I never found anything that I really liked for Rin, although a gunner in a green steampunk goutfit was probabaly the best I came up with. We actually used the same blue karate gear for Shizune. Edit: Oops, requests. Sorry about that. Anyway, here's a few pictures of my own. I don't have a WiiU so these are 3DS screenshots. Some characters I like to change around their outfits a bit and add or take away accessories, so I tried to gives you pictures with them multiple ways. Lilly was the hardest to come up with anything for. There really isn't a hairstyle that fits her. I had to choose between the general style or the length and wavy-ness or her hair. I went with the longer wavy hair. The real issue with a Lilly mii is that there's no way to have pupil-less blue eyes. Love you're Hisao Mr. Oddball! We now have a complete main roster! 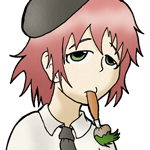 It took some time, but I finally made a Hanako and Lilly mii that I'm proud of. Here's another vid to show them off. Is it me, or Miis makes everything extremely bizarre? "Push forward. This is the soul of (*)"
Nope. I even made a move-set.